Planning corporate travel can be a logistical nightmare. From ensuring your president and CEO gets from their flight to the hotel in time to change and make that meeting by 9, to bringing a group of executives to the conference in time – and in style – it can be time-consuming and downright frustrating. Chicago Party Bus Rent has a fleet of vehicles to choose from – stretch limousines, stretch Hummers, even mini-buses and a trolley – we can accommodate most needs or requests. If time is tight and you have executives to meet at the airport, we can even provide a meet and greet service – allowing you to finish the final touches at your conference or event. All we need is an itinerary, and who to pick up when and where – leave the rest to us. If a day filled with events is planned, once rented, we’re all yours. Our professional and courteous drivers can pick up the executives in the morning, drive them to the hotel to drop off their luggage, and then whisk them off to the venue for a day of business meetings and conferences. No need to require them to hail a taxi – we can have it all under control. 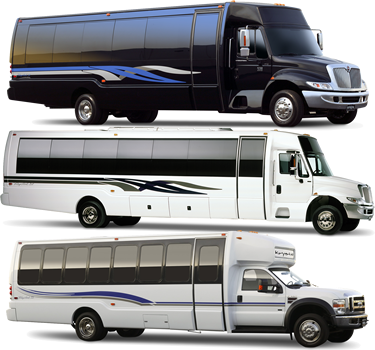 Chicago Party Bus Rent services Chicago and most of the outlying areas – so if you have a corporate retreat in mind, we can get you there and back as well. Appearance and first impressions are key in the corporate world, so our limousines, Hummers and mini-buses – our entire fleet, for that matter – are always some of the newest available and kept in tip-top condition. From our butter soft seats to a shiny exterior, every part of the vehicle is made as professional as possible. Many of our mini-buses come equipped with a stereo system, TV and surround sound – allowing you to save time by showing some of those corporate videos during transportation. Many also have a mini-bar stocked with bottled water, soda and ice – ensuring your executives are kept refreshed while in transit. Chicago Party Bus Rent is ideal for award ceremonies and dinners; transporting hundreds of attendees from the hotel to venues and restaurants may be difficult with only taxis or personal cars, but we make it simple and easy. Our mini-buses can hold up to 40 passengers, and with a fleet of them available, we can get everyone there on time and safe and sound. Once the speeches have been given, the conference calls wrapped up and the notes all made, why not impress your executives with a night out on the town? Chicago has multiple four-star restaurants to enjoy (ask us for recommendations, we know some of the best available) and our night life is some of the most fun around. From tours that showcase the city’s sparkling lights and beautiful vistas, to the most exclusive clubs available – we have you covered. Wine and dine your clients with our stretch limousine, allowing you to focus on making that sale or securing that deal without worrying about transportation or parking. Nothing is more impressive than picking up that potential client with a stretch Hummer, and whisking them off to an upscale restaurant. Make them feel important and pampered with our butter soft seats, and a mini-bar that can be stocked with their favorite sparkling butter or liquor (we provide the water, soda and ice). 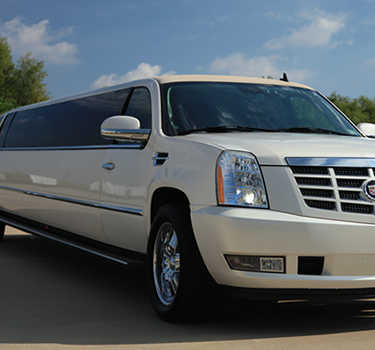 If you are planning a corporate event or meeting, look no further than Chicago Party Bus Rent. Our numerous options are perfect for any occasion, and our perfectionism when it comes to details makes sure that nothing is missed – contact us for more details.